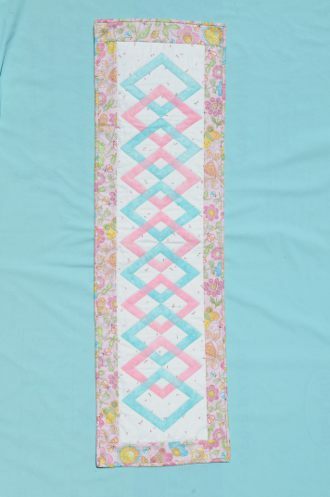 This table runner is quick and easy to make. The diamonds are fused to the background. The backing and fleece are fused together. You can stitch down the diamonds by using the blanket stitch, satin stitch, or zig-zag stitch. Add your borders and binding and you are finished! Finished size is 13 1/2" x 44"